Here's a link to a blog which goes into great detail about the Pacific Dawn, which is soon to be the first Superliner based permanently in Australia. From December 2009, the Pacific Dawn will be Brisbane based. The ship had some bad press a few months ago with the global outbreak of swine flu, which is a shame -- it's not like anyone could predict an outbreak like that. Now it's back to business as usual on the ship, or should I say fun as usual. The blog, at www.cruise-australia.net, points out some of the design details by renowned Italian architect Renzo Piano. For one, he has designed interiors to reflect the natural world, with plenty of wood grain and soft natural colours. There's also an opulent looking three level atrium. But more impressive is the dome atop the ship, intended to resemble a dolphin carving its way across the surface of the water. 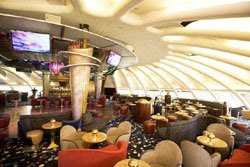 Inside the dome is a huge entertainment lounge and observation deck. There are some amazing savings to be had on Australia Cruises at http://cruisesalefinder.com.au, including up to 50 % off selected cabins for a 16-night cruise aboard the Pacific Dawn, departing Sydney on 9th September. Prices include Quad Cabins From AUD$1852 pp and Triple Cabins from AUD$2338 pp. 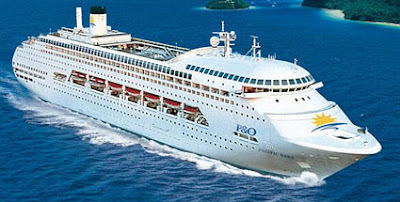 There's also up to 45% off cabins aboard the Pacific Sun for a seven night cruise departing 26 September 2009. Keep an eye on http://cruisesalefinder.com.au and you're sure to find the right cruise to suit you. Video: A promotional clip, taking a walkthrough of the Pacific Dawn.